After twenty years of making our own, we know what to look for inside a futon. 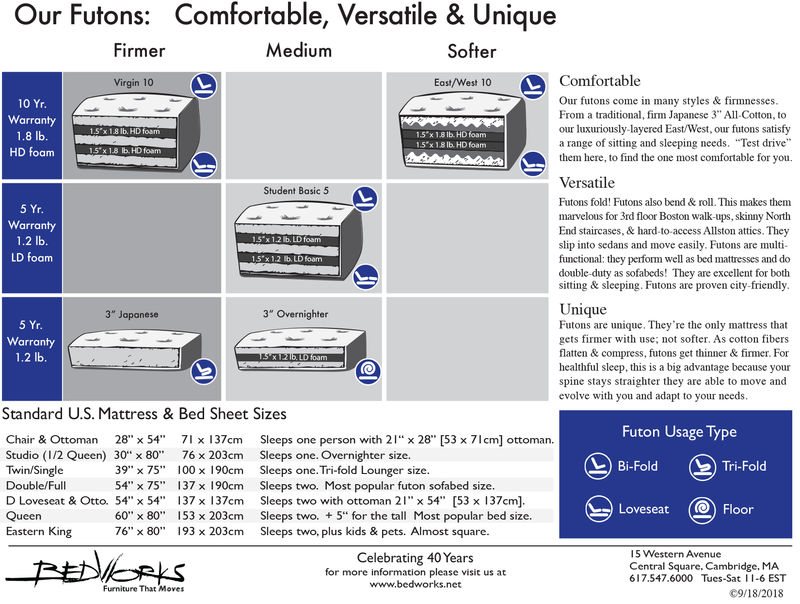 From soft to firm, budget to luxury, we have selected and designed a great range of futon mattresses for sofabeds and beds. Choose from our 5 year and 10 year warranty selection. "I remember when Bedworks first opened (I'm dating myself) and I bought my first futon. Since then I've bought four beds, some belong with the kids, all in great shape and very functional. So here I am again. I just love the workmanship and the service - people are great here. No wonder they have been in business so long! I'll be back,"